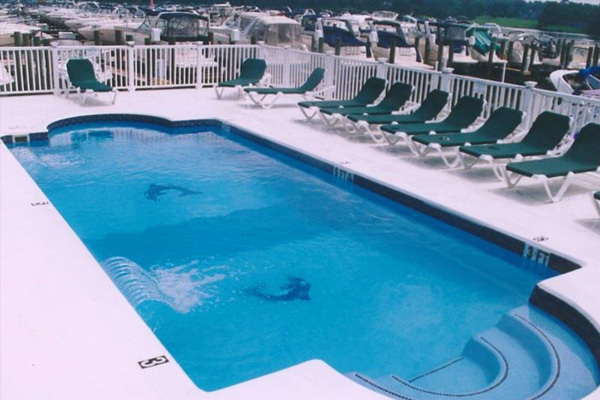 Listen to the intoxicating sounds of waterfalls echoing down from beautiful water features that originate in the coping of your own Viking pool. 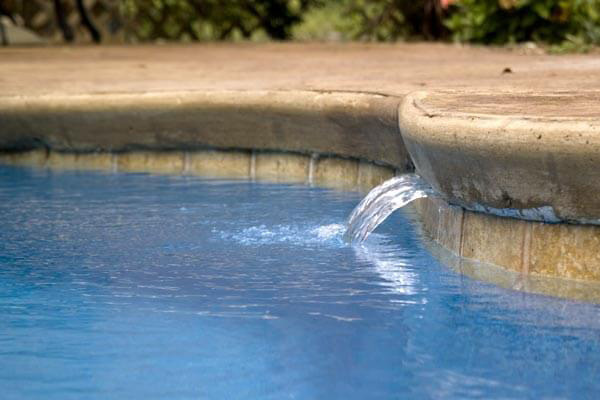 What better way to add mystique and intrigue to any pool than with the elegance of a vanishing edge. 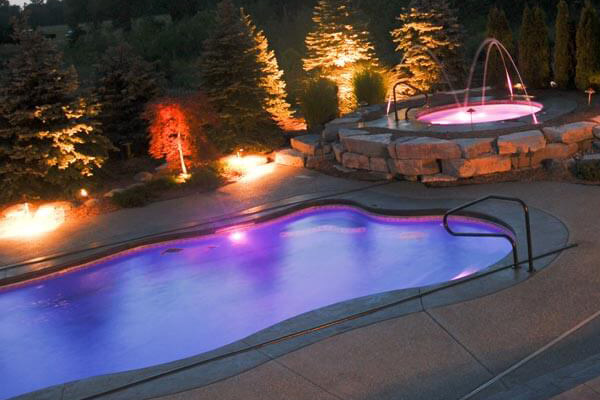 Set the mood with your choice of four colors. 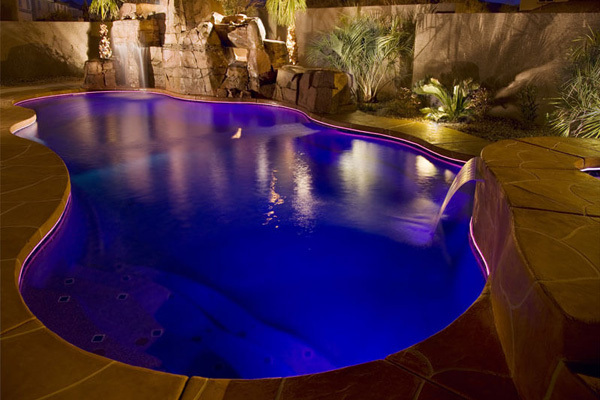 With the added luminescence of fiber optics, you will be able to capture your pool’s beauty by day as well as night. 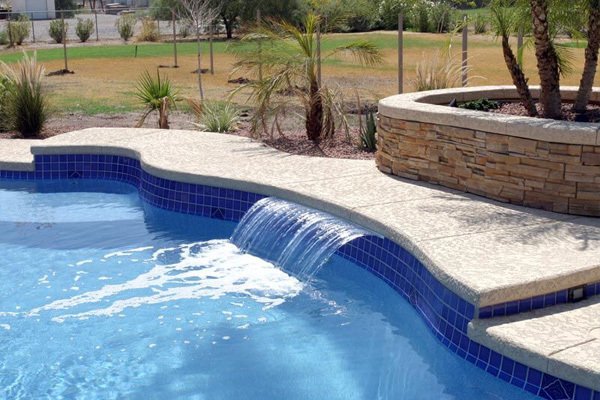 Listen to the tranquil sounds of flowing water with Viking Streams, which are installed along the tile line of your pool. 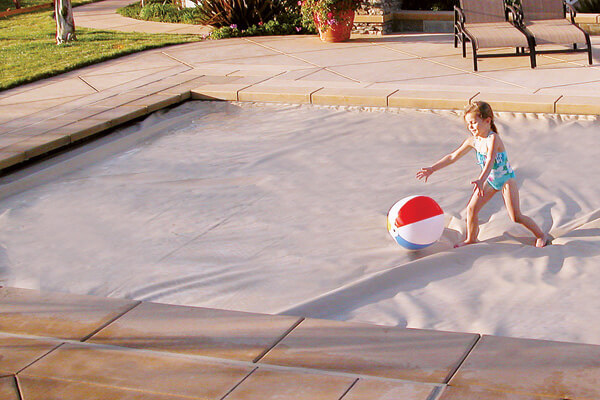 Safety Covers are designed to protect the investment you just made and the ones you made it for… your family. 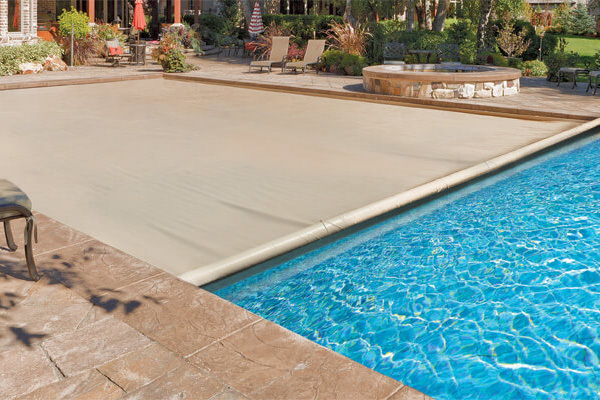 Simply flip a switch, and your automatic pool safety cover will create a barrier over your pool that no child or pet can penetrate. 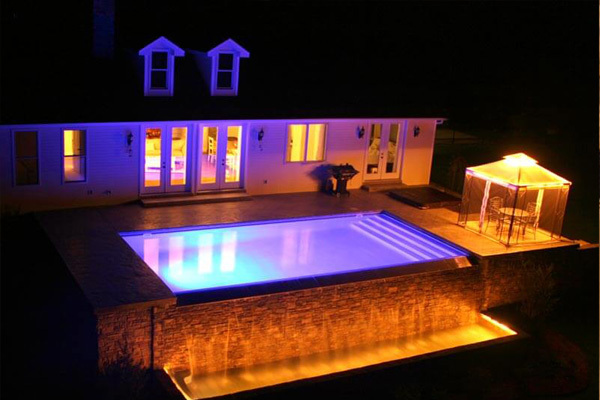 The PAL provides a totally new concept in Underwater Pool/Spa and Aquatic Landscape Lighting Design. 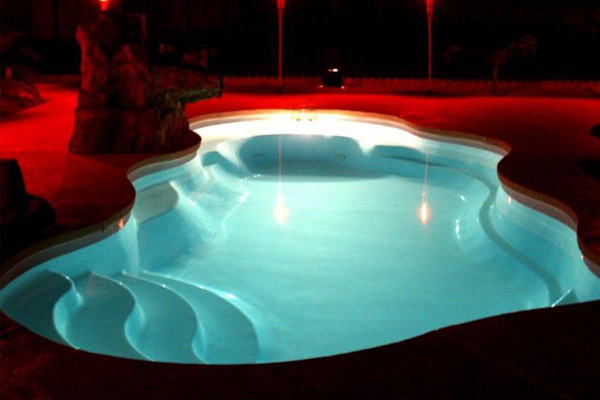 Utilizing new molding materials, it has been possible to produce a compact light fitting with unique features that are not currently available from any other existing pool or spa lighting product. Six colors with disco mode, fully synchronized. Color Change Digital Array: can be fitted with a 100,000 hr color change array with color lock on six different colors or two color change modes. 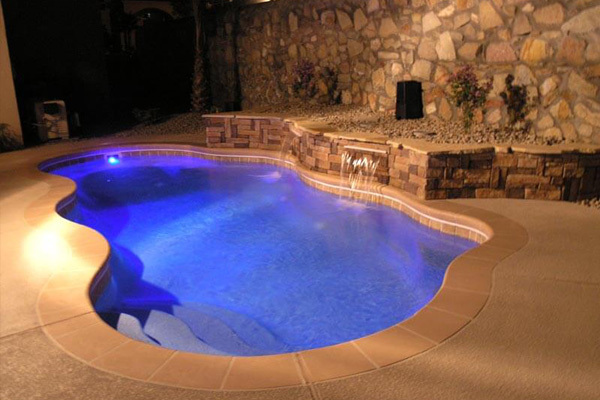 Set the mood with your choice of four colors. 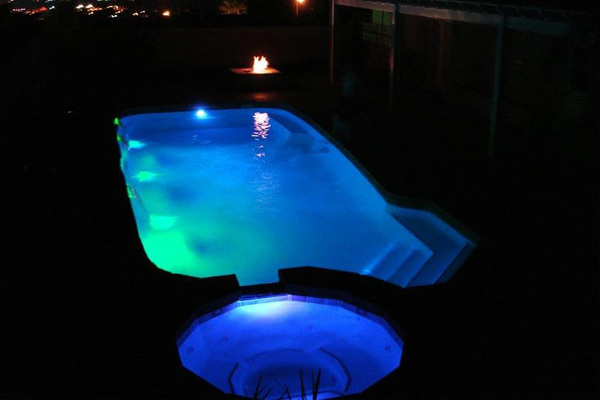 With the added luminescence of fiber optics, you will be able to capture your pool’s beauty by day as well as night. 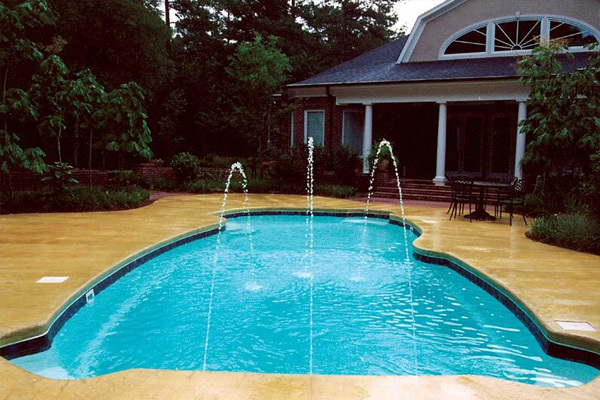 As pioneers in the fiber optic field, Fiberstars® allows you to highlight virtually anything, from your pool and spa to landscaping and patio designs. 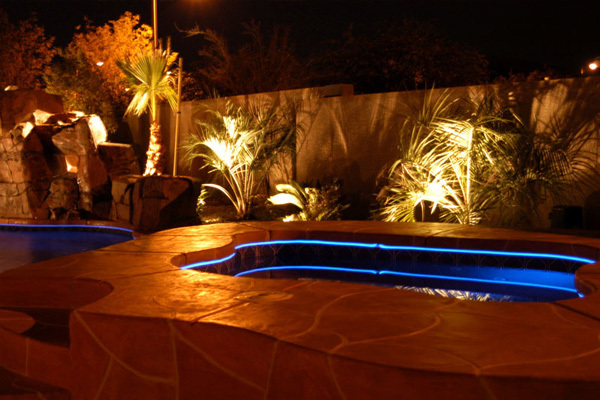 Fiberstars® fiber optic lighting can also be used with water features such as Viking Cascades to highlight the movement of an unbroken, falling waterfall. 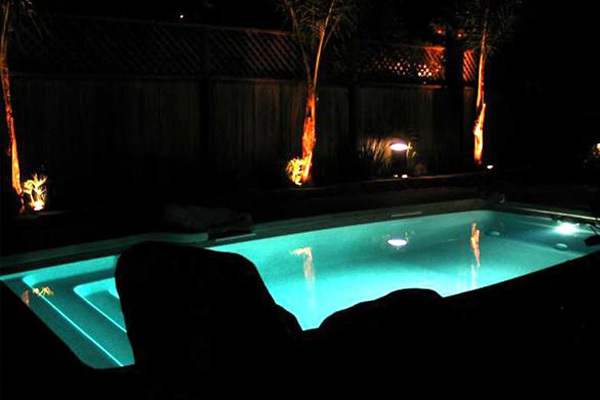 Fiberstars perimeter lighting allows you to add charm and ambiance to any Viking pool or spa. 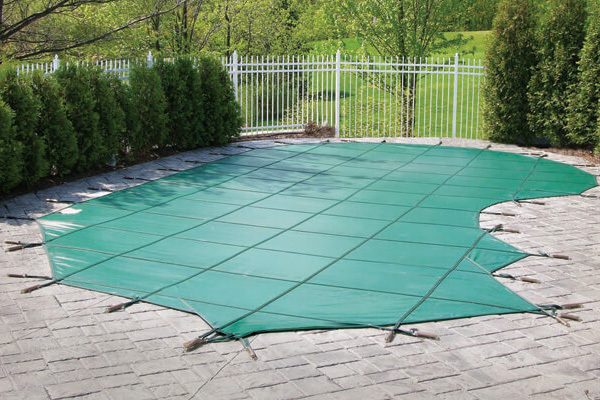 Coverstar and CoverLogix Solid and Mesh Safety Covers are designed to protect the investment you just made and the ones you made it for… your family. 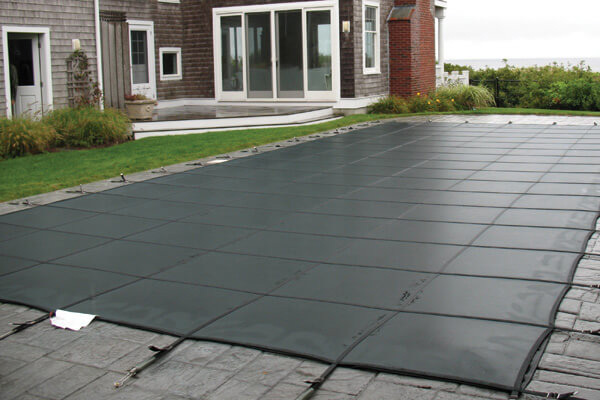 Once installed, the safety cover will help prevent accidental intrusions by children, pets and unwanted critters and debris. 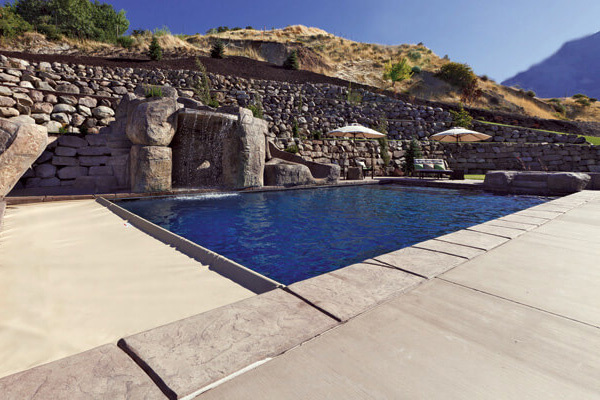 Your Latham Builder can help you every step of the way, from cover design and material choices to a quality installation. 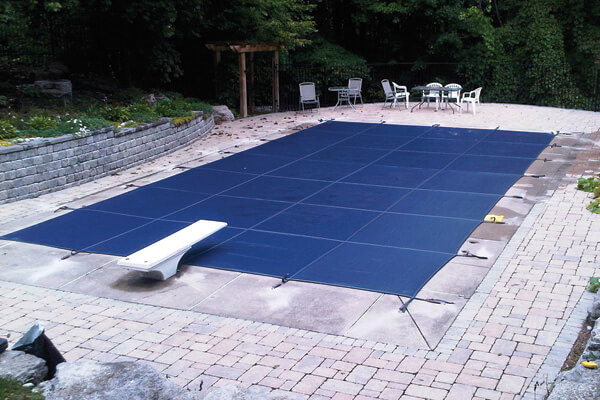 Latham brands offer mesh covers for maximum drainage and solid covers that block 100% of sunlight in a variety of material weights and colors. 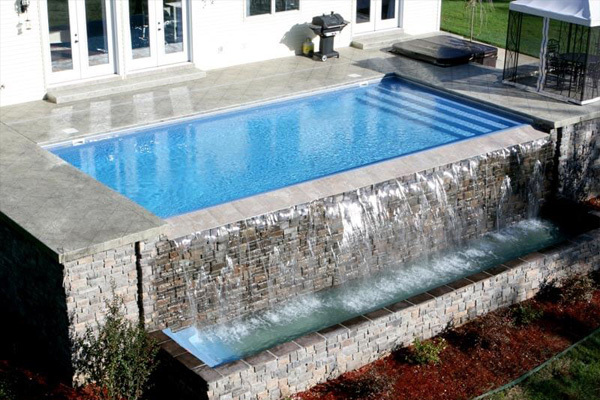 All can be custom designed to fit any size or shape pool precisely, including any special features such as raised walls, diving boards, stairs and rails. 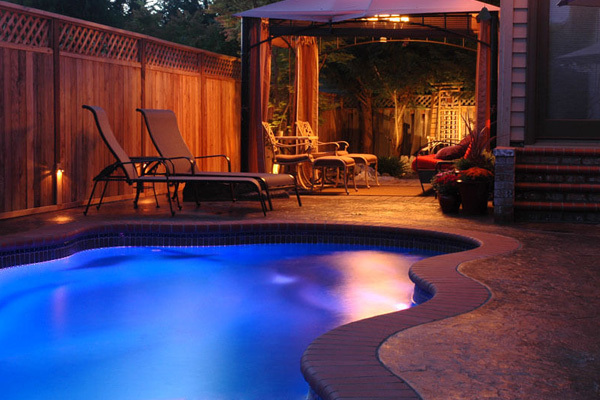 Everyday protection for your family… at the touch of a button! 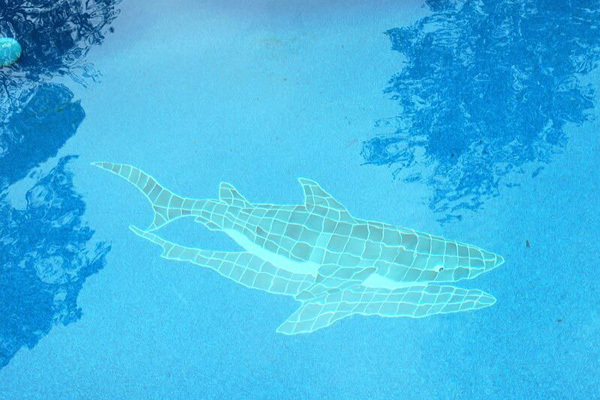 Simply flip a switch, and your Coverstar or Pool Cover Specialists automatic safety cover will create a barrier over your pool that no child or pet can penetrate. 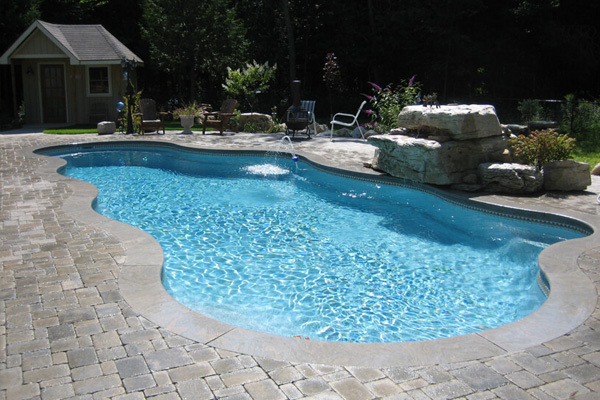 All automatics covers are custom-built to fit your pool perfectly and manufactured from best-in-class materials. 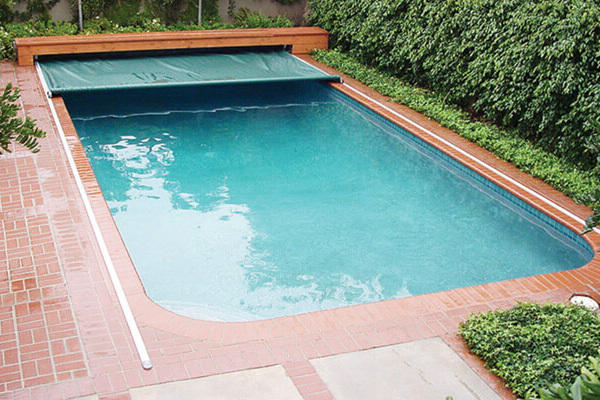 Latham brand automatic pool covers offer the widest choice of models, options, fabrics and colors in the industry. 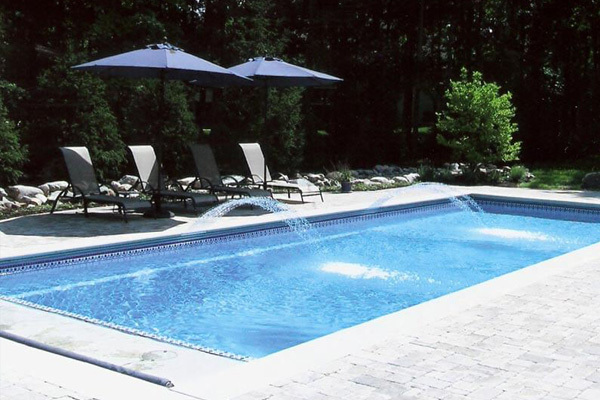 Our drive mechanisms are available in either stainless steel or marine-grade aluminum. 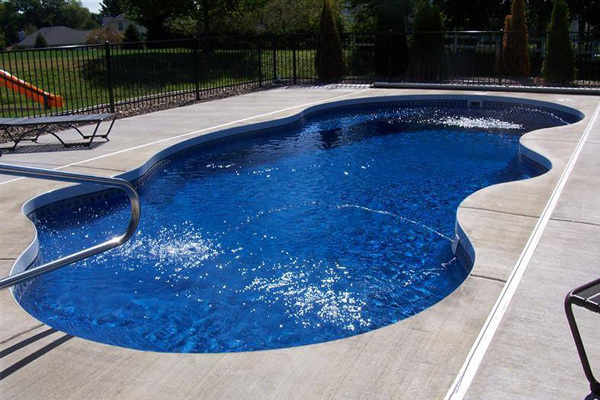 Each system includes stainless steel hardware. 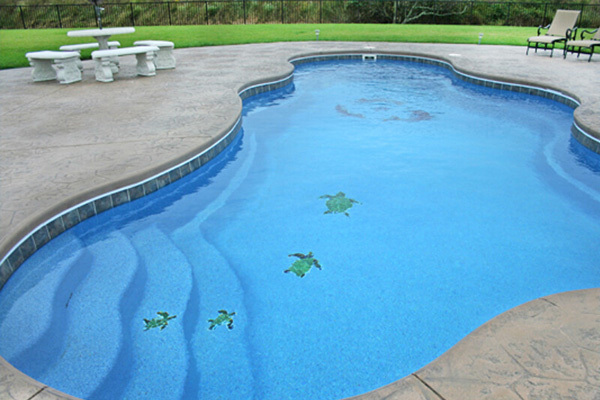 Through the many options available, most pool shapes and sizes can be covered. 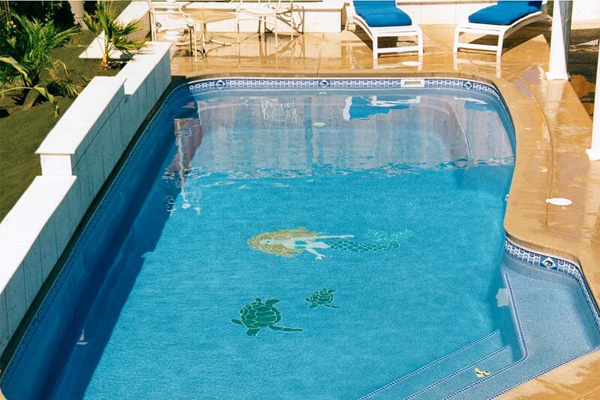 Save on heat, water, electricity and chemicals A Coverstar or Pool Cover Specialists automatic cover can deliver big savings… automatically!